Greetings Vampires And Fellow QUEERS! 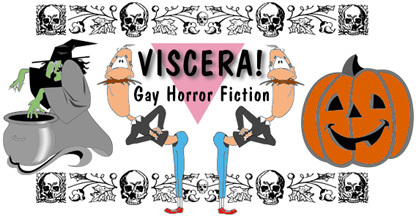 VISCERA was founded in 1980 as a literary guild for HOMOSEXUAL WRITERS with an interest in GAY VAMPIRE FICTION. We now maintain the Bay Area's LARGEST QUEER-BASED contemporary experimental library of ALL THINGS GAY AND VAMPIRE-RELATED! CLICK ON A LINK BELOW TO READ OUR LATEST STORIES! © 2000 ALL RIGHTS RESERVED!!!!! !